Have you suffered an injury at work? Well, you owe it yourself as well as your family to get proper medical care and benefits that you need to sustain while you recover to the maximum extent. This requires teaming up with an experienced workers compensation attorney who can actually help you get what you really deserve. You might be feeling too lost and alone after the insurance company had made it difficult for you to receive the compensation. In fact, you might be tempted to give up on the claim altogether. The workers compensation lawyers At A1 Accident Lawyer would fight for you. Our skilled workers compensation lawyer Los Angeles would help you navigate through the maze of red tape linked with workers comp claims as well as stand up for your rights. That’s not all, the workers compensation lawyer is ready to take up the case even if they had to face tough competition from the insurance company. Our experienced and knowledgeable lawyers know what needs to be included. We fight to ensure that you get approval for treatment and also ensure you get an evaluation from a neutral doctor. No need to worry about the paperwork, we have got you covered. At A1 Accident Lawyer, we have been aggressively, knowledgeably as well as effectively protecting the rights of injured workers in and around California. We practice workers compensation law at its best and we are committed to seeing you get all the help that you actually need. No matter what your query or need is, simply connect with a Los Angeles workers compensation lawyer for proper assistance. No matter what the circumstances are, our workers compensation attorney Orange County is totally prepared to handle every aspect of the case. We can evaluate the case and help you determine what type of claim you should be seeking. That’s not all, we also offer assistance with a recommendation for medical treatment and work diligently to ensure that your medical bills come under compensation. Why Trust Us With The Claim? At A1 Accident Lawyer, our Orange County workers compensation lawyer has proper experience in workers compensation cases. Our attorneys work really hard with the entire team to ensure every client receives proper representation, no matter how complicated the case is. Being temporarily or permanently out of work can become a nightmare for finances. 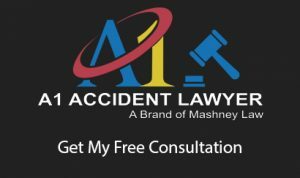 A1 Accident Lawyer understands what you are really going through. However, to avoid adding more woes to your already injured life, our California workers compensation lawyer offer you no risk representation so that it doesn’t add more agony to your existing injury. You can avail free consultation from our expert lawyers. Don’t hesitate to give us a call anytime at (714) 535-5090 and schedule a consultation with one of our top attorneys.